I'm excited to share a project with a few of the dies from the IO Fall Winter Release. For my project, I combined old and new dies. 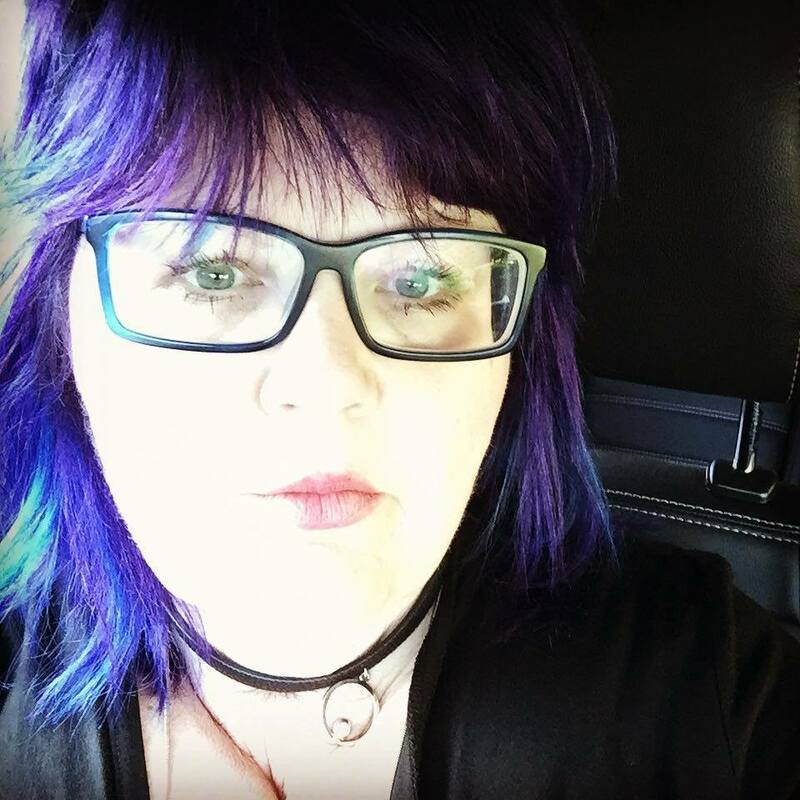 Check out the IO Blog for a list of players!! Gorgeous card! Love all the beautiful elements you used to create this card! 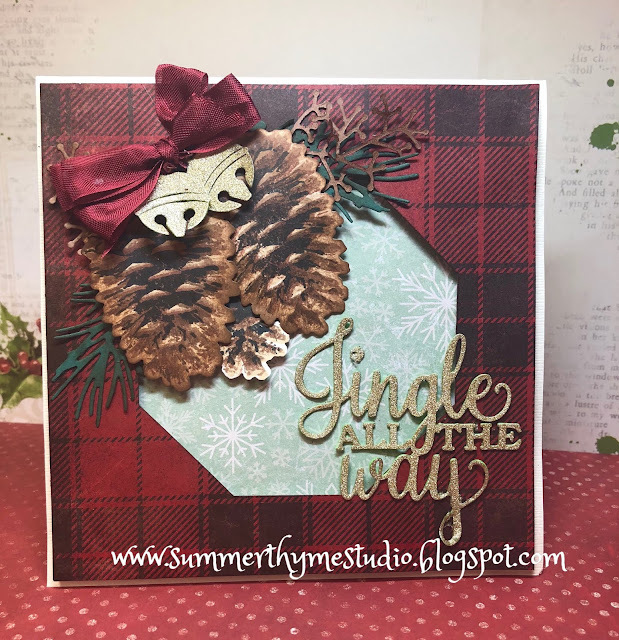 The pinecones, bells and sentiment are fabulous new dies! what a lovely card! I love how traditional it looks. Love the pine cone stamp and die. SO detailed! Something about pine cones just speak Christmas to me. Very pretty, I just love the unexpected pop of colour on it! Beautiful card! I am definitely feeling the Christmas cheer when looking at this card! You did an amazing job creating it! This looks great with the plaid background. The coloing is wonderful. I love this! Great job with the colors! I love your card! It is very elegant! So nice! Love the traditional style and colours-- particularly the plaid background and the gold sentiment. This is such an elegant card! Makes me anxious for Christmas! Beautiful card! The pinecones are so realistic. Love the new layered pine cones. Gorgeous card. That new "Jingle all the way" die is on my "must have" list!!! Great card!!! Love the card design and the sentiment! Gorgeous card. The plaid is so Christmasy. Nice work with the pine cones. Gorgeous shading - beautiful card. as all the pretty sparkle. Beautiful! Great design --love the plaid and the pine cones. sweet card - LOVE how you have colored in the pine cone - SOooo REALISTIC!!!! Totally awesome card, Vicki! Love all the detail & those gorgeous dies! Awesome card!! I love all the layers...oh and the plaid paper of course!! Stunning card, very elegant. Your pinecones are amazing. Love your card. It is so traditional and the pine cones look so real. Great job. What an elegant card! Your pinecones are absolutely amazing - WOW! You already had me with the beautiful layered pinecones! I'm a big fan of those and got my hands on them when they first came out! But I love the new sentiment die too! And what a gorgeous combo!!! Great card! Those pine cones look so real ... just lovely.